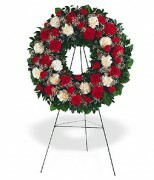 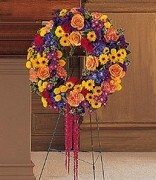 Click the button below to add the Broken Heart Funeral Wreath Jamaica to your wish list. 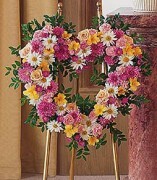 Your friends and loved ones will understand exactly how you feel when they see this powerful wreath signifying a broken heart. 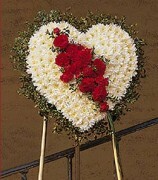 One heart-shaped design arrives covered with white chrysanthemums, accented with a break of red roses. 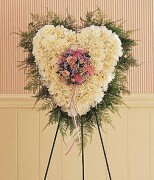 The heart is delivered on an easel.